For our contribution to the Cultural Value project, the Sidney De Haan Research Centre for Arts and Health and cultural regeneration consultancy Nick Ewbank Associates carried out research in three coastal towns where there has been significant investment in culture-led regeneration in recent years, focusing on the impacts of Turner Contemporary in Margate, the Creative Foundation in Folkestone and the De La Warr Pavilion in Bexhill-on-Sea. We adopted a mixed-methods participatory action research approach, using mind-mapping, vox pops and focus group discussions with around 300 public participants. We also carried our sixteen in-depth interviews with politicians, cultural leaders, academics, funders and public health experts. The resulting report, ‘Cultural Value and Social Capital’, found that, despite an intuitive feeling that there is a “connection between cultural activity and feeling good”, health and wellbeing is not currently prioritised as a driver of either programming or outcomes. The three organisations were found to make a “significant, but at present largely undefined, contribution to social capital and to delivering health and wellbeing in their respective communities”, but outside the specialist field of arts in health practice “this important aspect of cultural value is currently hidden”. We launched the report at a reception at the House of Commons on 16 July 2014. 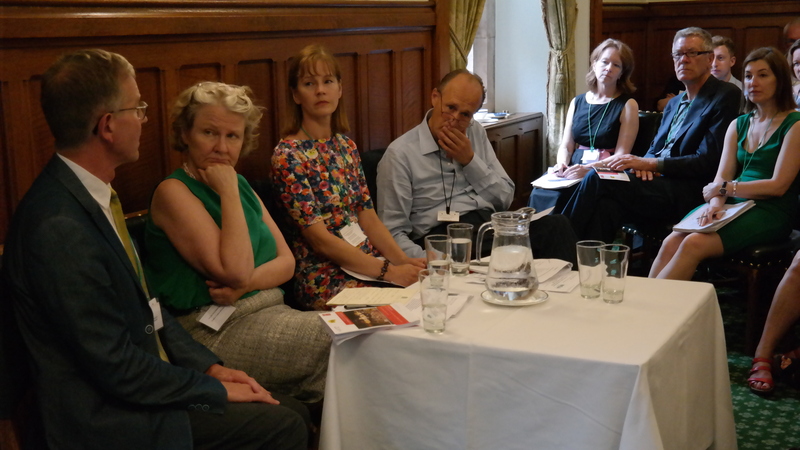 This event included a panel discussion with Prof Stephen Clift (Principal Investigator), Deborah Bull (Culture at King’s, Warwick Commission and AHRC Board), Sir Peter Bazalgette (Chair of Arts Council England) and Helen Goodman MP (Shadow Culture Minister). During the debate Sir Peter said “Fifty percent of local authorities are considering deploying health budget in the arts … it’s about the intrinsic value of the arts first, but to blind yourself to what the [economic and health] benefits are is ludicrous”. Both Sir Peter and Helen Goodman MP, used the event to call for the health and social benefits of the arts to be systematised, with appropriate funding and measurement tools put in place. Deborah Bull called for a “progressive research agenda” able to take the long view and not driven by the calls of different “flip-flopping” governments. She added that this will require the higher education sector and the research community to work very closely with the cultural sector. The report proposes the introduction of guidelines with models of best practice, an idea supported by the three organisations involved in the project, who also said they would “welcome the introduction of simple-to-use evaluation tools that might shed light on levels of wellbeing generated by their everyday activities”. The report also suggests that cultural organisations should do more research into barriers to public engagement with their work, and give more consideration to programming and commissions aimed at “addressing specific health and social issues”. ‘Dementia’ is a condition or syndrome that is elusive and defies any facile definition; it has become a fear-laden term that encapsulates society’s worst terrors. Despite the general lack of consensus about what dementia ‘is’ in neurological terms, there is agreement that dementia is a long-term medical disability. To this end, there are regular reports in the media and elsewhere concerning the prevalence of the condition both in the UK and globally. The recent G8 summit highlighted the importance of countries working together to find a cure for the condition. However, at the present time finding a cure or even effective drug treatments is proving elusive. In the absence of appropriate pharmacological interventions the social conditions in which those with a dementia live also need urgent attention. Pioneering work by researchers and practitioners has contributed to the understanding that although Alzheimer’s and other dementias may be incurable at present, they are conditions that can be treated and that treatment always includes more than drugs. This is the socio-political context that has led to a burgeoning of arts and cultural initiatives for people living with a dementia. These initiatives are diverse and include (to name a few) music and drama groups, creative writing programmes, dance groups, painting classes and visits to art galleries. There are also a number of organisations that have emerged in the past decade that have a specific focus on using the arts with this population. 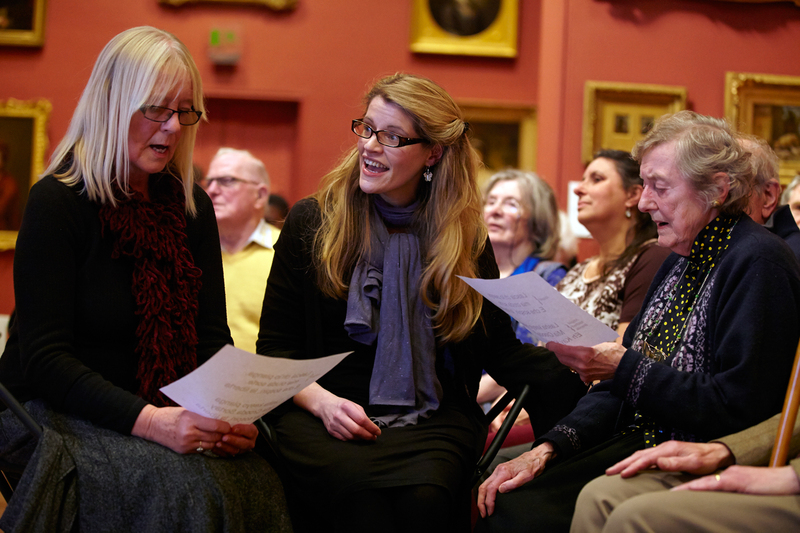 These organisations and initiatives reflect a prevalent assumption that the arts and culture play an intrinsically positive role in the health and wellbeing of people living with a dementia. However, there has been very little critical evaluation or review of these initiatives and interventions. Indeed, the evidence base relating to the real and measurable benefits from cultural activities for people with a dementia remains disjointed. Similarly, there has been little work exploring the views of people living with a dementia concerning their perceptions of the value of arts and culturally based activities. This question is being explored using a range of methods, including a comprehensive literature review. 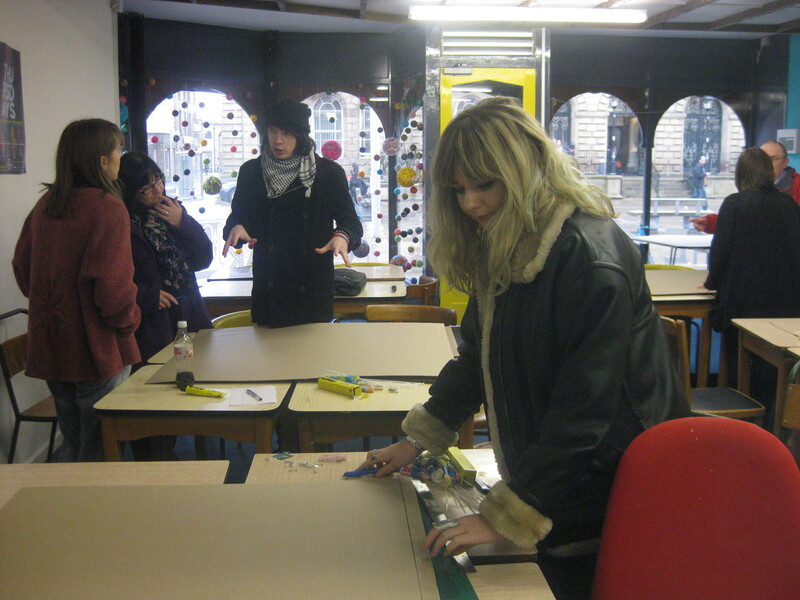 These projects all used a multiplicity of arts activities including visual art, art making, music making and poetry. The two London based projects were led by professional artists (from the Royal Academy of Music and English Touring Opera) and took place in an art gallery and Wigmore concert hall. Verd-de-gris in Hebden Bridge is a smaller scale project that takes place in a town hall. The projects are representative of the varied range and scope of participative arts initiatives for those with a dementia; some of which take place in rural locations on minimal budgets and others (the majority) that are located in London or other major urban centres. In addition, although the London projects were better resourced, securing funds for future projects was an abiding preoccupation for all the groups. Despite differences in funding and resources all of the groups were characterised by the energy and enthusiasm of the leading artists and their active engagement with participants. As one participant exclaimed during a group ‘Enjoy the day’; she certainly was. The importance of collaborating with participants living with a dementia to ascertain their views and opinions is a preoccupation for the Mark Making project team. However, pragmatic difficulties have been encountered. These are related to the teams’ problems with developing trusting relationships with individuals in very short spaces of time. Despite these issues, several in-depth interviews have been carried out and a number of questionnaires have been completed. Mark Making has used novel methods. A graphic artist helped create a comic explaining the aims of the project to participants living with a dementia. This was extremely well received in one project (where copies were all taken by participants and artists) but the investigators were asked not to distribute it in two projects due to sensitivities about using the term ‘dementia’. The taboo and stigma associated with the word dementia (even within arts projects designed specifically for those living with a dementia) has piqued the curiosity of the project team. Above all, it was unclear who felt uncomfortable with the word (carers? project leaders? artists? ); as in conversation with the investigators several participants referred loudly and openly to their diagnosis. By capturing and questioning tacit assumptions about the inherent value of arts and culture for people living with a dementia. By advancing the ways in which we think about and discuss the value of the arts and culture in the UK both generally and specifically in relation to their role for people living with a dementia. The literature review and study of the projects is beginning to synthesise the disjointed evidence base regarding the use of arts and culture for those living with a dementia. 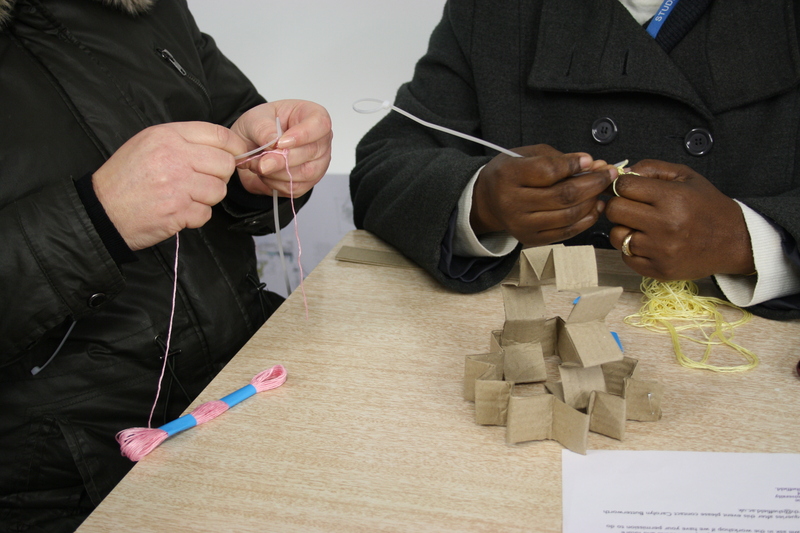 Our project, Approaching Cultural Value as a Complex System: Experiencing the Arts and Articulating the City in Leeds, takes an ethnographic and participative approach to the key questions of cultural value – why are the arts and culture important, and how can we know their value? By taking such an approach, we aim to study the value of cultural participation via the perspectives, attitudes and practices of a group of people who have agreed to be our collaborators – making their own experiences and ideas the primary material with which we are generating new knowledge. By an ‘ethnographic’ and ‘participative’ approach we also mean one in which we, the five researchers on this project, are participant observers: entering the site of cultural activity with our volunteers, working closely with them to generate knowledge in situ. Overall, our project works with a wide range of cultural partners in Leeds, but the ethnographic ‘site’ of the study is the Love Arts festival, organised by the Arts and Minds Network. The Network is funded by the Leeds and York Partnership NHS Trust, works to promote the arts for mental health, and was established ten years ago in order to co-ordinate and connect the wide range of arts and mental health activity already happening across the city. Three years ago the Love Arts festival was launched as an annual showcase for the work taking place throughout the year; and this year it ran from October 2nd to 24th. Our study takes this festival as its ‘spotlight’ focus, and given that the timing of the festival coincided with the start of our Cultural Value project, we began with a bang. During the weeks it took place, the five members of the research team spent time ‘hanging out’ at the festival, talking to people, soaking up the atmosphere, and experiencing Love Arts for ourselves. Each of us has ‘buddied-up’ with one of five volunteers, and in our pairs we have been attending events, sharing experiences, and exploring how and why the arts are important to these festival goers. The research team met with partner cultural organisations in September, subsequntely, all five participant pairs got together for the first time, to exchange ideas and feedback on the conversations of the past month. Both meetings have proved to be tremendously productive occasions, with a real sense of knowledge being co-produced, and distinctive experiences and perspectives voiced. A further workshop was held in January, when researchers, research participants and the representatives of arts organisations from across Leeds met together. This provided the occasion to continue the process of generating co-produced knowledge, as a range of perspectives on the importance of the arts and culture were brought into dialogue. On the basis of the initial workshops, we are very much looking forward to this next opportunity to bring together this diversity of views on the value of cultural activities within Leeds. We intend that one of the outcomes of these conversations will be a fuller, richer sense of the ways in which the city itself – its civic identity, its distinctiveness as a place to live, its vitality or otherwise – is contributed to by the particular qualities of its cultural life. The Love Arts festival contributes just a small amount to this broad, complex civic identity. But in its networked, multi-venue format, drawing together a wide range of participants and locations, it provides a striking vantage point from which to view some of the wider developments and tendencies within the city’s cultural life. At the heart of this project, we are finding, is a complex concept of well-being, one that we hope we are moving towards being able to articulate. In what ways, little or large, does the festival contribute to the well-being of an individual, a group of people, or a city? Love Arts has a particular focus on mental health; but that does not make the experiences that take place there ‘niche’, ‘medical’, or narrowly ‘instrumental’. We all have well-being. And we all have mental health. Even in these, the early days of this project, we are finding that the highly distinctive articulations our participants give to their cultural experiences are powerful testimonies to the value of an expressive, creative, shared life. These are statements of value(s), we suggest, that could extend across a wide spectrum of mental health, conceived of in all its many forms – spanning a diverse range of ‘arts and minds’. In this way, it may turn out that the testimonies we are documenting also provide new perspectives on what might be meant by ‘the good life’. The challenge is to capture how this might be expressed and communicated, so others can hear the subtlety of our collaborators’ experiences and perspectives. Thursday, 28th November 2013 marked the end of a government-sponsored national campaign, The Big Dig – a year-long initiative that aimed to promote a culture of ‘giving’ through urban community garden projects organized around food growing (www.bigdig.org). One of our four case studies, The Big Dig is representative of organized garden projects that aim to regenerate cities, spaces and communities. Through our review of the existing literature, we know that there is nothing especially innovative about organized modes of participatory engagement via digging. What interests us about The Big Dig, however, are the ways in which it seeks to generate impact and value through attaching voluntarism to the idea of digging as gifting. Supporting the development of new and embryonic urban growing spaces, The Big Dig’s launch statement placed particular emphasis on capturing volunteers from constituencies that are ‘traditionally’ disengaged, as a means of improving local wellbeing and community connections, as well as reducing levels of of ‘anti-social behaviour’. Oriented to the conceptual coordinates of the coalition government’s Big Society ethos, this policy intervention is based on the premise that the giving of one’s time and labour via green gardening holds transformative potential for the self, the social, and local environments. If recruitment to The Big Dig is considered as a measure of cultural values of digging across the UK, then the project’s closing summary indicates its (re)emergence: all targets for volunteer and social action opportunities were exceeded (albeit ‘traditionally’ disengaged recruits constituted a modest 1,900 people), suggesting that the values of ‘gifting’ has some cultural purchase in contemporary Britain. Our project, Cultural Values of Digging explores the ways in which cultural values circulating around digging – as an orchestrating node for the mobilization of diverse agendas – traverse the realms of everyday life, activism and policy. It seeks to establish evidence of cultural values through attention to embodied enactments of digging as everyday life or way of life(style) practices; the role of, and the processes by which, different media technologies and practices are implicated; and mediations and uses of digging/land-use histories and heritage(s) for modes of ethical relating and value-making in the present. With an empirical focus on the North West of England, we are conducting three case studies of digging that have developed over the past three years. Our Big Dig study examines the specificities of digging cultures and practices in an urban community allotment in Greater Manchester. Employing in-depth interviewing with volunteer diggers’, alongside textual analyses of the diggers’ engagements with digital media platforms, we are evaluating the extent to which The Big Dig project is a significant indicator of emergent cultural values of digging, and specifically, how such values are expressed, shaped and realized in online and offline contexts. Reproducing these methods across the two other case studies, we are examining the cultural significance of digging as a metaphor or symbolic connotator in contexts of heritagization; a wartime garden experiment, and a public event. An example of an online-offline green-living experiment (Marres, 2009), the wartime garden study examines a hetero-nuclear family’s attachment to the WWII ‘dig for victory’ campaign, and their recreation of the gardening broadcaster Mr Middleton’s prescriptions for year-round food self-sufficiency. Whilst cognate wartime slogans have been articulated to a range of consumerist and political agendas in recent years, our interest in the wartime gardeners resides in their nostalgic re-valorization of a past moment of austerity and security as response to the present conjuncture of eco-austerity. Charting and synchronising their experiences of wartime gardening across a wide range of social media platforms, the wartime gardeners reach out to all heterogeneous communities of diggers (many of whom can consume digging culture only at the level of fantasy), gifting online visitors with comprehensive planting schemes re-worked from Middleton’s original manuals; advice on accessing heritage seeds; and vintage themed food growing films and collages. Here, we are beginning to understand the ways in which the discursivity of heritage digging informs the constitution of cultural values of (digital) sharing; anti-consumerism; resistance (to the commercialization of the food system and to new austerity); and to familial and community resilience. In the context of the public event, we are similarly establishing evidence for cultural values of sharing, individual and community resilience, and collective resistance in relation to the heritage elements of digging. This case study focuses on the Wigan Diggers’ Festival – an annual, free event in central Wigan (2011-2013. See http://wigandiggersfestival.org/). The Festival reinvigorates and celebrates the political agency of Wigan born radical Gerrard Winstanley (1609-76) and the Diggers’ movement (1649-51) as symbolic resource for the expression and dissemination of a collection of political ideals circulating around interrelated issues of social justice and the redistribution of land (the ‘commons’), and ‘common’ resources and services – now effectively ‘enclosed’ through privatization and deregulation. Disembedding Winstanley from land rights and food growing issues, the Wigan Diggers’ harness the historicity of the 17th century diggers’ narrative to express dissent at current welfare austerity measures, neoliberal modes of governance, and for the reclamation and renewal of working class politics and values. Like The Big Dig and the wartime gardeners, the Festival actively disseminates its political ideals in online and offline contexts. Drawing together virtual and embodied communities into ‘digging’ spaces and places, these case studies diversely express, shape, renew and enact cultural values of digging in dynamic and productive ways. Most Mondays, three, four or five of us sit together in front of a computer screen. We are watching video-recordings of reading groups. They are not what conventionally goes under the tile of reading groups when a group of people, mainly women, mainly middle class, decide upon a novel they are going to read in advance separately (usually a contemporary novel), and then meet to discuss it afterwards in one of the group-members’ homes. The groups we are watching are established on a quite different model. They are set up by The Reader Organization under its scheme of Get Into Reading. 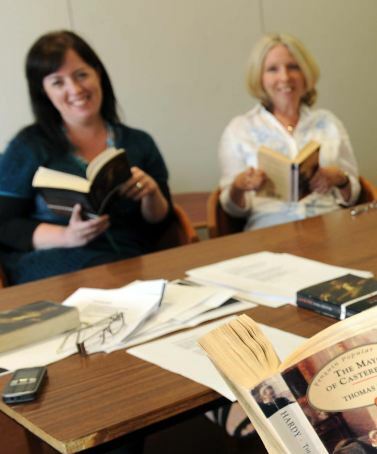 That means that the works – poems, short stories, even novels over a period of months – are read aloud in the group, live and shared, with time and space for re-reading and comment. The project involves a wide range of participants in terms of age and background, including people who have suffered recently from some sort of trouble, sometimes described and even treated in terms of ‘mental health issues’. 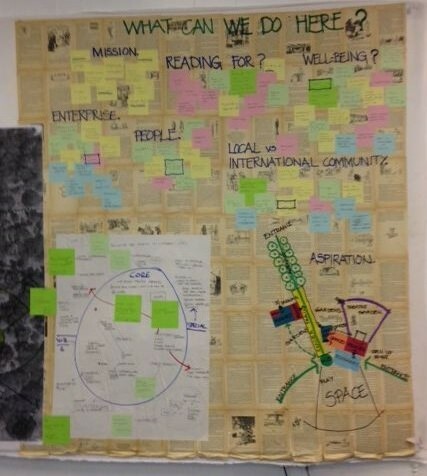 Our task is to see the value of the shared reading model, compared with other forms of group activity (in this case, in a cross-over design, a group discussing the built environment with particular relation to The Reader Organization’s re-opening of Calderstones Mansion in Liverpool as a Centre of Reading and Well-Being). After a while – after people have wondered how desirable or desperate this state is, and how close to a sort of death or paradise – one member says, ‘I don’t know what it did, it did something in me.’ The linguist in our research team has got interested in how many times, over many different sessions, the participants refer to literature directly doing something, as if it were both an active and (for all its language) unnaming presence, instead of the usual professionalized definitions, medicalized diagnoses, and second-hand paraphrase of ‘themes’. She is also interested in the regular but unpredictable shift of pronouns – I, me, it, he, we – in course of group discussion, across text, individual, group. But this time our linguist notes the phrase: ‘It did something in me – not to me’. She is reading the participants as carefully as they are reading poetry, working out (later with the use of linguistic markers and software analysis) how much the vocabulary and syntax becomes inflected by the poetry itself – how much the group-members are themselves in their way becoming a little more like poets. So it is that, for all our micro analysis of the process, there is also, always, this larger personal level of meaning. Often, someone will quietly say something like the usually slangy ‘I’ve been there’ – but here as though the poem were a real mental site or place in the human world. Personal stories come out, in fragments – about a lost beloved in a mental institution, or one’s own sense of dereliction, or an aunt asking her nephew (as one of the men in the group recalls) ‘Am I dying?’ We do not know for sure yet whether to describe these accounts as ‘relevant’ to the text or not, as part of the intrinsic value of the reading group or only (as a purist might say) of ‘instrumental’ value in relieving or reliving past memories. But we do know that we do not see or hear such responses in the other group where they are (still imaginatively) considering the built environment. We also know that we will not be coming up with a clear abstract dividing line between relevant and irrelevant, or even perhaps between intrinsic and instrumental. The two may be messily closer than we prefer. We are thinking of other terms. For instance. The built environment group-discussion is manifestly proceeding on the basis of everyday relevance: it is clear when someone crosses the invisible line and is (as we say in Liverpool) going off on one. But the reading groups works within a sort of created circle of resonance, going to and from the text at its centre – until or unless the bubble (as it were) is burst. Soon, as another new move in the research, we shall be showing excerpts from this footage to the participants themselves, to see what they make of what happened. As the phrase goes, we are working on it, and it is – this watching of people themselves working together in intimate social collaboration – a privilege. The reflective individual and the engaged citizen: those AHRC things are there together and alive in this setting. This nine month project, led by Sheffield University and supported by the Royal Institute of British Architects, has been funded by the Arts and Humanities Research Council as part of a wider Cultural Value of the Arts project. The project is already proving extremely timely. Our initial findings have already been submitted to the Call for Evidence for the government instigated Farrell Enquiry on architecture. It will also contribute to a three year project on the value of architecture recently launched by the new RIBA President Stephen Hodder. In these days of increasing austerity councils, housing associations and others are under real pressure to prove value and our project is already contributing to this debate, for example at a symposium for Registered Providers of housing led by the Homes and Communities Agency on value in housing later in November. We really enjoy the richness and complexity of trying to pin down architectural value, a notoriously difficult and contentious task. Previous studies have generally focused on economic benefits or have been based on highly debatable assumptions, for example that it is always good to make as much community interaction as possible or that urban regeneration is always helpful. Our focus is on wellbeing. The project has two very different workpackages. The first is a critical review of a very large range of reports and standards on housing written over the last decade in the UK by government. These are so numerous that we have to make a initial sift – the criteria being research rigour – before choosing the ones that we will subject to in depth analysis. The critical review has initially been divided into three components : Health and Ageing; Neighbourhood Cohesion; a as well as Identity, Belonging and Heritage, but these two are subject to revision. Our aim here is to reveal how others have tried to assess or evidence value and to use these findings to suggest possible future frameworks. The critical review will form the basis for a database accessible via the web, a report and a proposal for a new framework for the evidencing of architecture’s cultural value, to be published as a book Why Architecture Matters by Routledge in 2015. The project team benefits from an extensive, interdisciplinary advisory board of world experts who are themselves helping us to create a definition of value in this context. The second workpackage the public consultation on the value of architecture will take place in the Sheffield University based LiveLab, the city based outreach arm of the architecture school and is likely to take the form of a research by design project involving some twenty five Sheffield MArch students. This unprecedented piece of participatory action research will test the extent of public knowledge about the activities of architects, build public awareness of what architects really do and suggest new avenues for public engagement. The Value of Live Art? At mac birmingham, a popular arts complex just south of Birmingham City Centre, recent visitors could not help but see at least some of artist Brian Lobel’s public exhibition Fun with Cancer Patients (exhibited 12 September – 6 October as part of Fierce Festival). The title, bold in black on white, was visible from the busy café, and evoked curiosity, concern, disapproval and a whole host of other different emotions and responses that led many people to explore the exhibition in more depth. The exhibition documented six creative ‘actions’ based on the ideas and experiences of a group of teenaged cancer patients who have been working with Brian Lobel over a number of months. My research, ‘The Value of Live Art: Experience, Politics and Affect’ has been embedded in the Fun with Cancer Patients art project in order to try to access, explore and understand the cultural, political, social and emotional work live art can do. The value of the artistic experiences and outputs to the teenagers and their families, to medical professionals and support workers, as well as to a wider public audience, is subject to critical examination using a mixed and at times experimental bag of ethnographic and ‘live’ methods (see Back and Puwar 2012). In order to research audience’s experiences of the exhibition, this took the form of a ‘live art hub’ alongside the installation space. From this physical space we observed, chatted, listened, carried out interviews, ran workshops, and gathered responses articulated in writing, speech, gesture, image or a combination of forms. The hub was a ‘space of affect’ where long conversations and brief, speechless encounters alike were articulated and documented as sociological research. In the introductory text for the exhibition Brian Lobel writes, ‘Instead of asking for your sympathy or pity, Fun with Cancer Patients asks for your intellectual and critical engagement around cancer’. The documentation challenges audiences to listen, watch, read or feel what the young cancer patients themselves have to communicate about their experiences of being stared at, becoming disabled, having chemo, having a hickman line hanging from their body, losing hair, losing friends, making friends, being asked endless questions, eating hospital food, facing death, having fun. These opinions and experiences may or may not resonate with visitors, many of whom have cancer stories of their own. The research has involved a good deal of story-telling and a lot of listening. I have felt keenly that sociology is, as Les Back (2007) puts it, ‘ the art of listening’. One of my hopes for the research hub is that the data it has generated will acknowledge and amplify the ‘intellectual and critical engagement around cancer’ that Brian called for whilst also perhaps helping us to understand some of the challenges around such engagements. Sociologists do not often attend to live art, but live art is becoming more mainstream, more talked about, and increasingly likely to touch the lives of ‘ordinary’ people, even those who do not seek it out. I have a hunch that there may be something special about some live art practices, making them incredibly valuable as a mechanism for social and political change. Of course the materials of live art are simply the materials of life: bodies, emotions, objects, social and material relations, conversations, stories, memories and so on. What may put live art in a powerful position is its ability to generate aesthetic experiences from these materials, to re/order them in such a way as to create what Jacques Rancière (2004) refers to as a ‘redistribution of the sensible’, shifting the usual ordering of the sensory world we inhabit so that we may see, hear, feel, acknowledge and understand different things, and that different people and their knowledges can in turn be seen, heard, acknowledged and understood. In one way or another, most of my research over the last decade has focused on the role of the historic environment in the production of identity, memory, and place. Through qualitative social research with various constituencies and communities, this work has highlighted the dynamic, iterative, and embodied nature of people’s relationships with the physical remains of the past. At the same time, I’ve become acutely aware of the stark contrast between the forms of value created through these relationships, and the kinds of ‘intrinsic’ value that still largely underpin the designation, conservation and management of specific heritage places. Having also worked with heritage bodies at various times during this research, I’ve become fascinated by the difficult and complex issues surrounding how value is narrated and measured in this area of the cultural sector. This Cultural Value project investigates these issues through collaboration with four project partners: The Council for British Archaeology, English Heritage, Historic Scotland and the Royal Commission on the Ancient and Historical Monuments of Scotland. The overall aim is to explore how forms of value are created through people’s relationships with the historic environment, and how the heritage sector can acknowledge, accommodate and communicate this. It is specifically concerned with what is usually referred to in the heritage sector as ‘social value’; a concept that encompasses identity, distinctiveness, belonging, and wellbeing, as well as forms of memory, spiritual association and cultural practice. 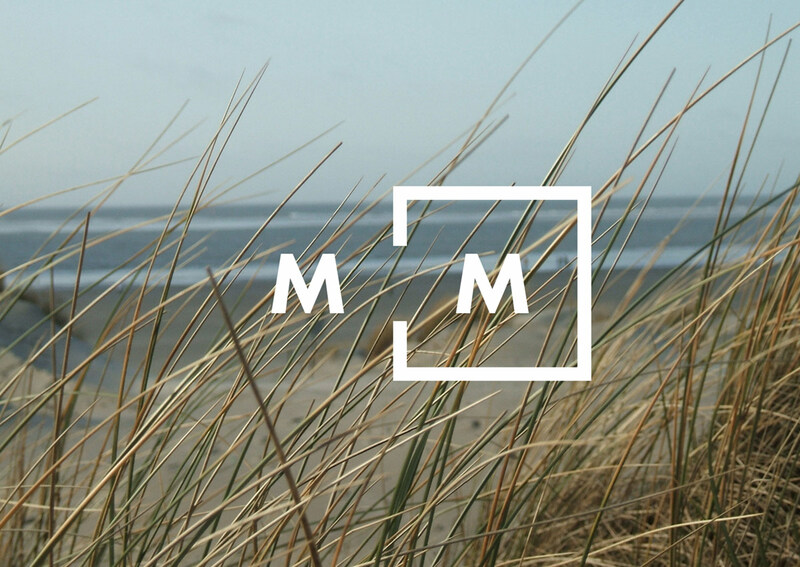 Through a critical review of existing research the project will examine modes of experience, engagement and practice surrounding the historic environment. It will also explore increasing evidence that points of crisis and conflict are particularly potent contexts for the creation of value. The range of methodologies used in existing research and surveys will be critically discussed, along with their application in the spheres of heritage conservation and public policy. Finally, the appropriateness of a conceptual apparatus that tends to quantify and fix values will be examined. The possibilities for capturing more fluid processes of valuing the historic environment will be considered. As in other spheres of culture and the arts, the question of value is an increasingly pressing issue for the heritage sector. I’m particularly excited about the opportunity to explore this area in the context of the wider Cultural Value project. Initial consultation meetings with this project’s partners highlight just how much overlap there is between the challenges they face and those confronting other areas of the cultural sector. At the same time, the complexity of the forms of value characterizing the heritage sector make it an ideal context to explore some of the wider issues raised by the Cultural Value Project. Different ways of conceiving of value will be critically analysed and contextualized, with a particular focus on how they intersect and at times conflict with one another. The trend towards defining discrete aspects of value and measuring them through particular outcomes will be critically examined and alternative approaches explored. Furthermore, the project will explore the tension between institutional or ‘official’ values, and the values people produce in and for themselves; a tension that is an endemic and difficult issue across the cultural sector.